Girls now that the hunt is over… Let’s get this laughter party started! “Who Let The Hens Out? Best hens party ideas, bride to be games, unique stag event for hens and roosters. An exciting opportunity for one last, crazy night with your best friends! When you organize the hen or stag party you must take into consideration the fact that nothing of what you say or do on that day or night will be judged by other people. So, this may be your last opportunity to do the things you always wanted to do. Remembering of course respect for the bride and groom is important. In order to make everything special, you should ask yourself what makes a hen or stag party truly special. What things will make it unforgettable? The truth is that the uniqueness of such a party is provided by a theme. 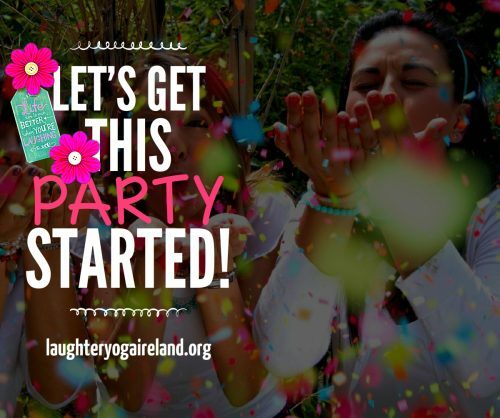 We at Laughter Yoga Ireland help you to kick start your event with lots of theme bonding through laughter exercises and lots of silliness. Through a selection of moving and stretching and lots of laughing out loud everyone loosens up and are ready for the next stage of the event. 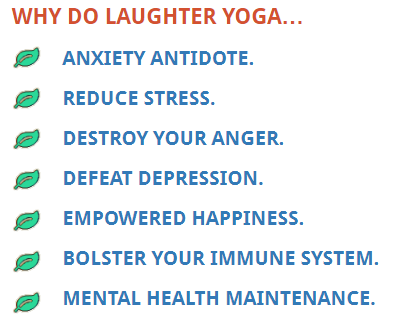 “Laughter Yoga is a party to remember forever that more and more people are booking for their special event! 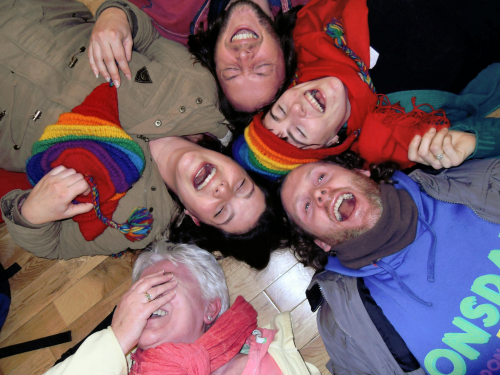 We provide a one hour session for Hens and Stags anywhere in Ireland.